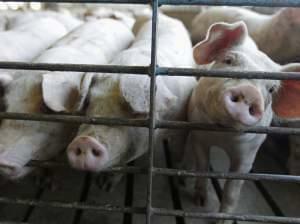 It's one of the most controversial practices in agriculture: feeding small amounts of antibiotics to animals in order to make them grow faster. 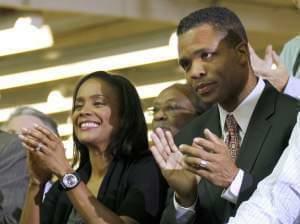 Court records show that former U.S. Rep. Jesse Jackson Jr. has paid $200,000 toward his $750,000 forfeiture judgment. The U.S. Senate is moving ahead with legislation to bar employers from discriminating against workers on the basis of sexual orientation or gender identity. 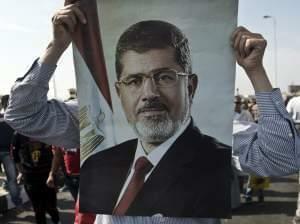 The trial of ousted Egyptian President Mohammed Morsi opened and then was quickly adjourned Monday in Cairo. The U.S. Geological Survey says it appears the shaking in northern Illinois that measured magnitude 3.2 was a quarry blast and not an earthquake. Congressman John Shimkus says continued problems with the Health Care.gov website should be reason enough to delay the individual mandate for coverage by a year. The Illini men wrapped up their pre-season schedule last night with an 83-67 win over the Northwood Timberwolves of Midland, Michigan. 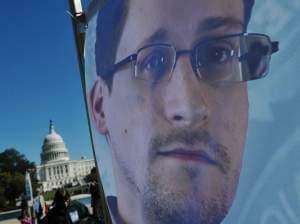 Congressional leaders and the White House had one message for Edward Snowden on Sunday: There will be no clemency for illegally leaking documents that have revealed some of the U.S. government's most secret programs. Daylight Savings Time ends this weekend in most of the continental United States.